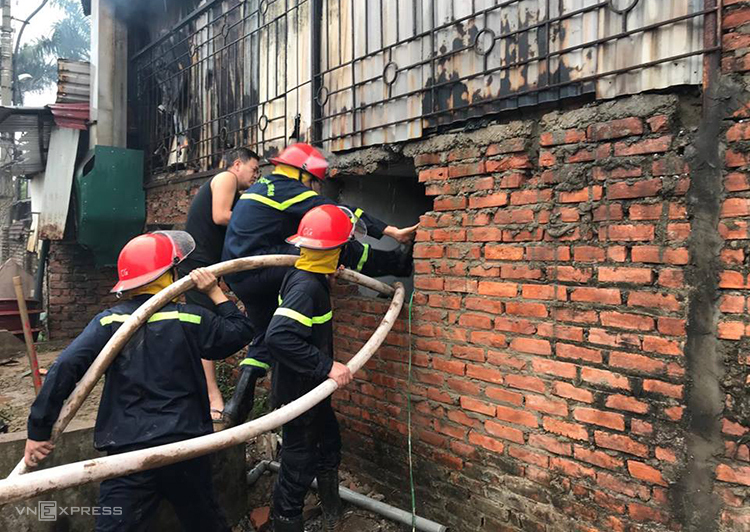 A dog meat restaurant in Hanoi burnt to the ground and destroyed the next two neighbor houses. It ignited and burst into flames at 3pm on April 4th. Within minutes flames were out of control. Smoke billowed into the air. Heat from the flames was so intense the two neighbor houses burned down as well. One was a paint shop where loud explosions could be heard coming from within. No reports were issued confirming if live dogs were inside the restaurant. Many dog meat restaurants in Hanoi have live dogs in cages and slaughter them on the premises. Its common for cages of live dogs to be placed just inside the entrance. Customers walk past the caged dogs when they enter. Caged dogs are used as an advertisement for freshly killed dog meat. 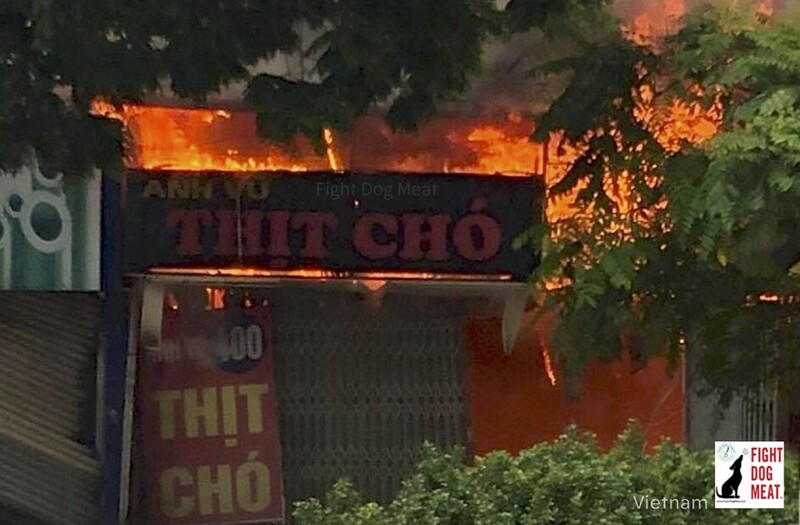 Firemen working to control the flames at a dog meat restaurant which burst into flames, in Hanoi. Police mobilized six fire trucks and many soldiers to the scene of the firestorm. They broke down the main door and the rear wall. According to police no people were inside the restaurant when it ignited. Vietnamese animal lovers want the world to know what is happening to animals inside Vietnam. They’re desperate for animal protection laws. Their cries fall on deaf ears of their government. Fight Dog Meat will continue to bring you reports from Vietnam.